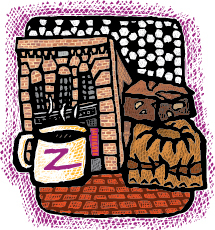 Zingerman's Artisan Foods Collection for sale. Buy online at Zingerman's Mail Order. Gourmet Gifts. Food Gifts. This gift box samples some of the food hits that people travel hundreds of miles to our little deli to taste: crusty handmade bread and rich pastries from our Bakehouse and small-batch varietal coffee. If you can’t visit our store this might be the best way to taste the food long distance. At least it’s the only way I can think of. A mini Sour Cream Coffee Cake, hearth baked bread from Zingerman's Bakehouse, a bag of whole bean coffee and a bottle of Cold Brew from Zingerman’s Coffee Company, a box of Peanut Brittle, Spiced Pecans, an almond and orange scented Bostock, a Walnut-studded Magic Brownie, a personal-sized bag of Zingerman's Sea Salt Potato Chips, and a loaf of Pecan Praline Banana Bread.